is elated to Celebrate the Life of this powerful woman leader that is devoting her life to the creation and sustenance of World Peace, and technology innovations; both on earth and in space. Jeanne Holm has extensive experience in education, innovation, and government service. 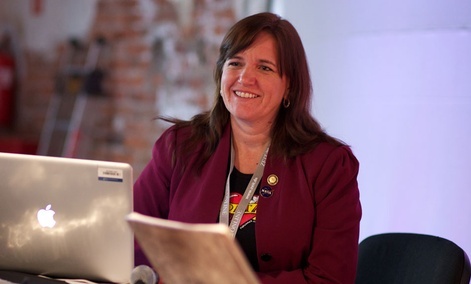 She has served as the Evangelist for Data.Gov (an open government flagship project for the White House), and built and led communities with the public, educators, developers, and international and state governments in using open government data. The federal government is trying to facilitate open data releases at the city level with numerous initiatives, including a model open data site, the Open Government Platform, and city, state and county data communities on the government website Data.gov. These open data sites can help city governments by putting the wisdom of crowds to work on tough questions about how to allocate city resources. They can also aid citizens by providing developers with the raw material for mobile apps that tell them when the next bus will arrive or which blocks might offer open parking spots. 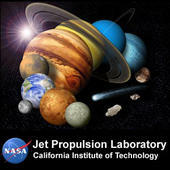 As the Chief Knowledge Architect at NASA’s Jet Propulsion Laboratory, she drove innovation through social media, virtual worlds, gaming, and collaborative systems, including the award-winning NASA public portal (www.nasa.gov). 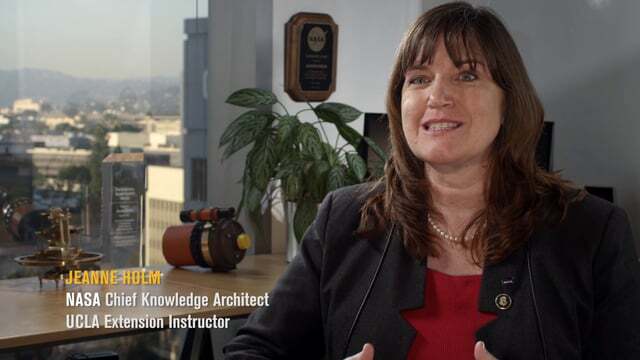 She has created pioneering knowledge architectures within the U.S. Department of Defence. She has been a consultant with the World Bank creating open data roadmaps in Russia, India, and Uganda. She is a Fellow of the United Nations International Academy of Astronautics, a Distinguished Instructor at UCLA, and Chair of the W3C eGovernment Group, and has more than 130 publications on technology, open data, civic innovation, and knowledge management. Jeanne is a graduate of Claremont Graduate University and UCLA, where she is an instructor in the U.S. and China in big data, community transformation, knowledge management, and collaborative systems. She has worked at Disney, in television and radio, and helped to found several technology and civic start ups. 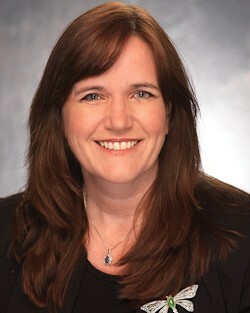 She has been awarded numerous honours, including the NASA Exceptional Service Medal for leadership (twice), Distinguished Instructor of the Year at UCLA, a Fed 100, three Webby’s from The International Academy of Digital Arts and Sciences, Top 50 Women in Tech, three best practice awards from the APQC, and led NASA to an unprecedented four global Most Admired Knowledge Enterprise (MAKE) awards. Real change happens when people work together to understand each other and work together to make their world a better place. Through community-based education and Peace Projects, World Peace One helps individuals, neighbourhoods, and communities to change their environment, work together, and create sustainable change. The first step is empowering people through education. World Peace One Education and Communities connect the as-built environment in our communities with formal education through community-based projects. Residents who want to transform their environment are supported through mentoring and resources. Students in the education program gain academic credit in a hybrid learning environment by learning as well as journaling, designing, building, sculpting, growing food, coding, creating art, and innovating ideas for these neighbourhood projects. In the end, residents and students form the foundation of a larger community that creates these innovative spaces. World Peace One classes are taught through a partnership with UCLA Extension, from a Transforming Your Community weekend boot camp to Environmental Design for Social Justice. Nearly four centuries ago Francis Bacon coined “knowledge is power,” further professing that “The dwarf that stands upon the shoulders of the giant, sees further than the giant.” Thus, each generation and its cumulative progress is built upon and stands upon the shoulders of the prior generation. Nowhere is the truth of such a statement and the advancement of individual, group, humanity, and society more evident than in the sphere of education. 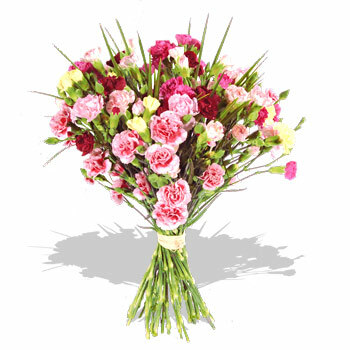 This being said, new models of education are needed for humanity to attain peace and prosperity, a healthy ecology, and a happier and more balanced society. 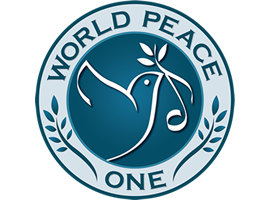 Peace Projects are community led and driven, but supported by World Peace One resources, mentors, and educational programs. Peace Projects embody the hopes and visions of residents for how their communities could be transformed to safer, more supportive environments. Ideas for community Peace Projects come from people like you and community groups. Ideas can be to create a community garden, put in a bike rack, create a storefront to beautify a block, build a solar wall to deliver energy, create a street mural, or build a meditation park. You become the project leader, supported by teachers, students, educators, and resources to help you make the change you are dreaming of. City 311 and other government services are planned to be key partners to co-create these spaces. Identifying the communities where Peace Projects can be built involves a complex set of variables related to sustainability, cultural appropriateness, and local human potential. Virtualizing the change online through simulation leads to a robustly engineered and sustainable physical change in the community. Students taking World Peace One classes in local schools or online contribute to projects locally or virtually around the world. welcomes this powerhouse into our global alumni with open arms, looking forward to future collaborations, bettering the lives of all women and children, focusing on world peace and the empowerment of all women.